Skin is visibly toned and firmer thanks to the production of collagen. Apply morning and/or evening to the entire body, paying particular attention to areas of concern (thighs, abdomen, arms). Recommended as an intensive treatment after weight lose and during periods of fatigue. 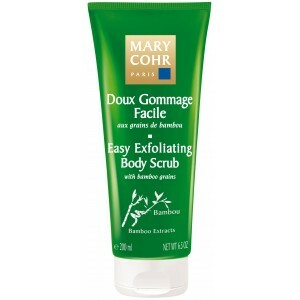 Use exfoliating body scrub prior to application for best absorption of ingredients. Apply to targeted areas after a shower has alternating water from hot to cold for 1 mins for 5 mins. Use easy exfoliating scrub with exfoliating mitts vigorously on the target areas in the shower, prior to application. Apply daily morning and Evening. Eliminate lifestyle habits that could also be contributing to the concern. Restores elasticity and firmness to the skin by stimulating the synthesis of fibres. Proves long term moisture supply to all layers of skin. 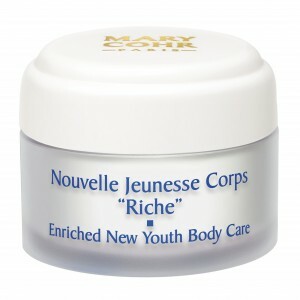 Restores the skin’s natural hydrolipidic film.